Few things are more important to industrial businesses than having their fans and ventilation systems working optimally. Commercial fans keep customers, employees and machinery cool, while simultaneously expelling contaminated and hot or humid air. These systems also aid in drying. 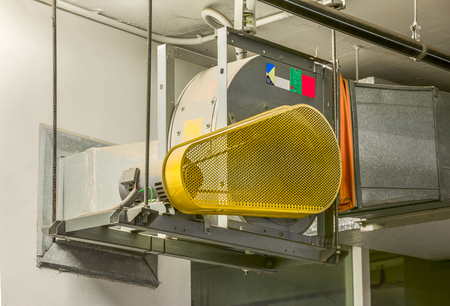 Put simply, industrial ventilation systems play a vital role in daily operations. We routinely perform commercial fan repairs and maintenance services for businesses in a wide variety of industries and knowing how important your fans are to your business, we do whatever we can to fix your malfunctioning system as soon as possible. In fact, our repairs and maintenance services can be completed in as little as 48 hours, so you need not worry about extended downtimes. 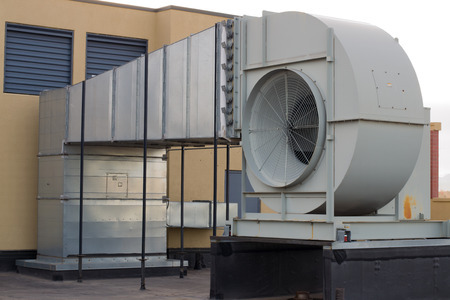 We provide retrofit services to all sorts industrial businesses who need to make sure their fans and ventilation systems are up to code and are not hazardous to their business. Don’t let money blow out the door by having industrial fans and a ventilation system that is not energy efficient in place; instead, consider a retrofit, rather than a complete overhaul to get your building up to code and up to the standards of modern ventilation systems and technologies. If you need replace your current ventilation system or you’re in the process of constructing a new building and need of a reliable commercial fan system, Dynamic Fans has the experience and expertise to help! For over 30 years, we have helped businesses in a wide array of industries with all their commercial fan needs. to learn more about our services, or for more information on commercial fan repair, installation or retrofit services, contact us today at (973) 244-2422.